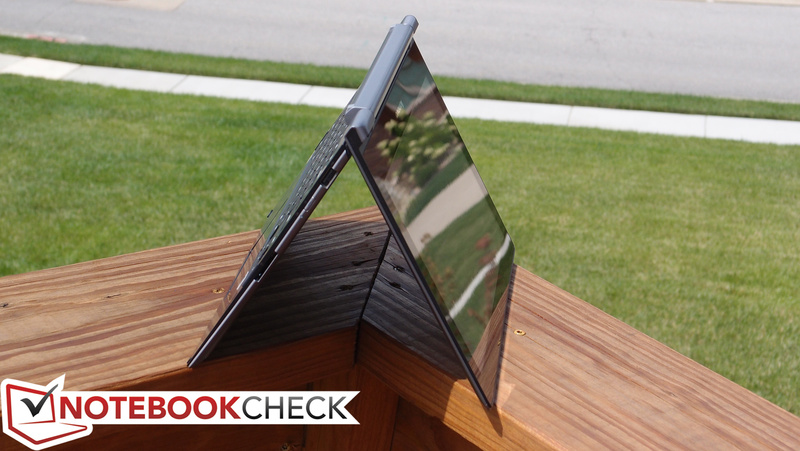 Dual-mode Chromebook… As convertible notebooks continue to pique consumers’ interest, Chromebooks have yet to capitalize on the concept. 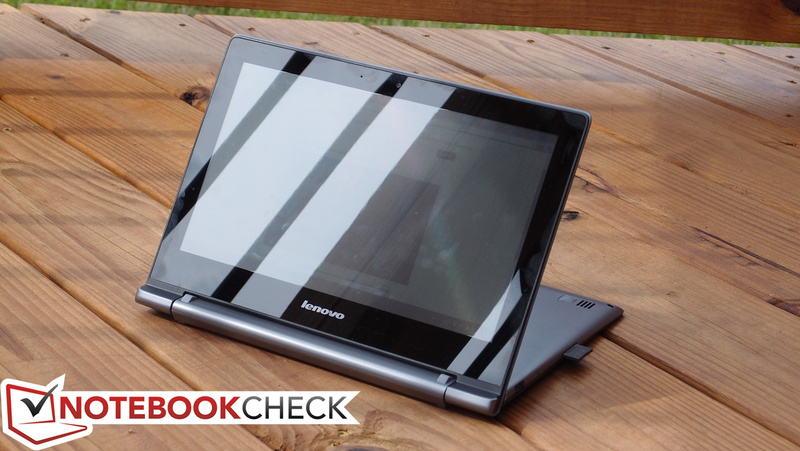 Lenovo’s N20p flaunts its ability to transform, Yoga- or Flex-style, in pursuit of a piece of the convertible pie. Can it succeed? 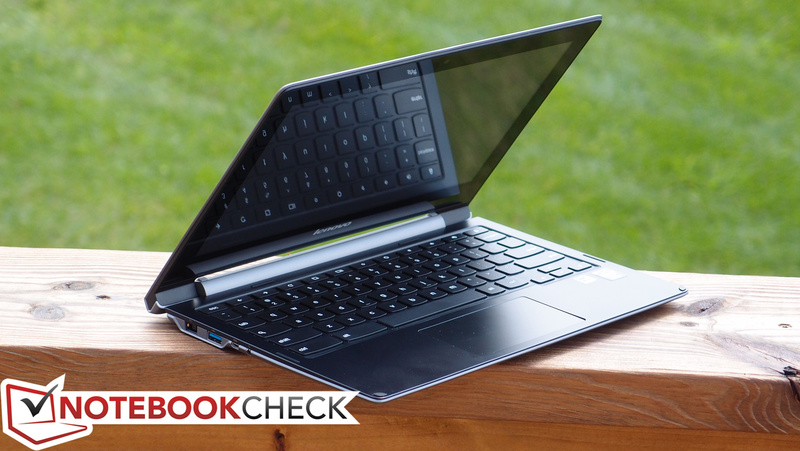 Chromebooks are essentially the modern generation of netbooks, with affordable pricing, lightweight and reasonable construction, basic specs, and good battery life. 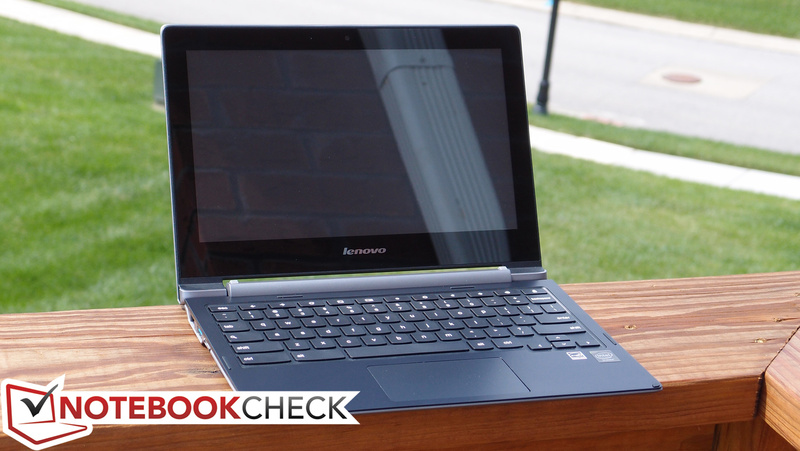 As convertible machines continue to rise in number, however—as well as drop in price—the Lenovo N20p is the first Chromebook to really leverage the concept in a way that remains affordable and jives with Chrome OS. Upon first glance, the N20p Chromebook very closely resembles the Flex 14; and, in fact, in many ways, the basic design is really just a shrunken version of it. The biggest difference, of course, is size and specifications. The N20p houses an 11.6-inch touchscreen, which is a full 2.4 inches smaller than that of the Flex 14. 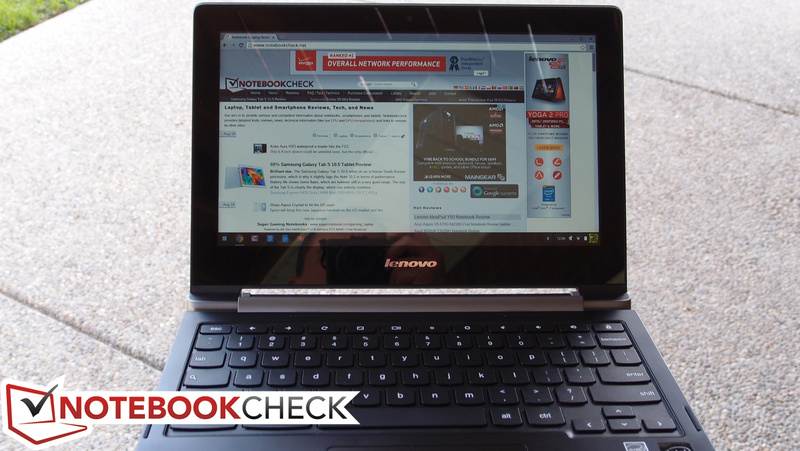 It’s also packing lower-end specs (partially as a result of Chrome OS’ lower system requirements). Our review unit (MSRP: $329) includes a dual-core Intel Celeron N2830 SoC, 2 GB DDR3L RAM, a 16 GB eMMC for storage, and a smaller assortment of ports. 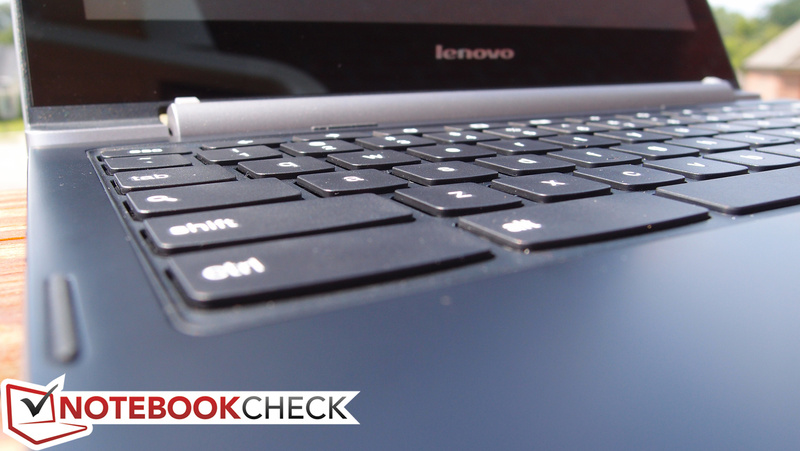 The goal is to provide a highly portable, dual-mode (as Lenovo calls it) Chromebook that can suffice for everyday tasks without breaking the bank. On paper, the N20p certainly looks like a valiant effort. How does it hold up? 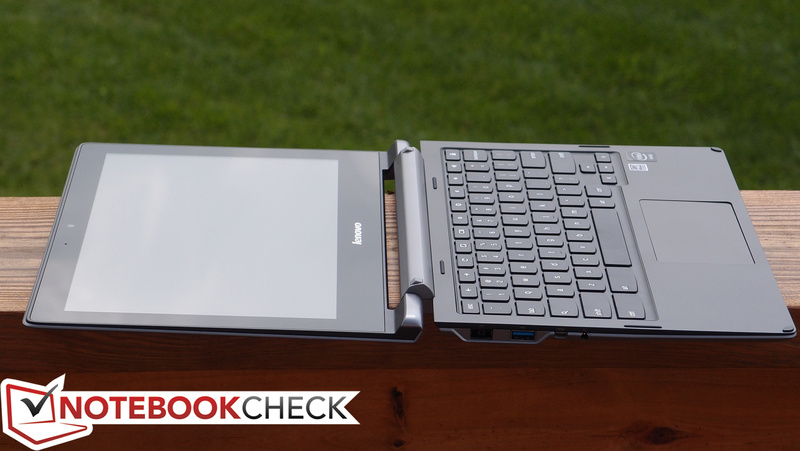 If there’s one thing Lenovo knows, it’s case design; even under budget constraints, the company nearly always seems to find a way to ensure its cases are at least relatively sturdy. This is even mostly true with the N20p Chromebook, whose plastic casing and low price point would at first seem to surely condemn it to the ranks of the shoddy and flimsy. 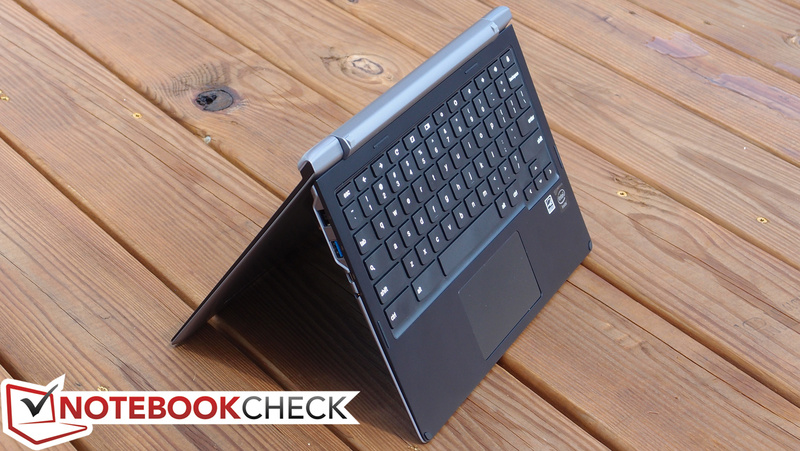 True, it isn’t anywhere close to as robust or stylish as metal-cased Ultrabooks or professional business machines, but then again, it’s a mere fraction of the cost, too. As we touched upon earlier, the N20p most closely resembles last year’s IdeaPad Flex 14, which was a larger and more conventional twist (no pun intended) on the Yoga design. Like the Flex 14, the N20p can rotate its screen back beyond the 180 degree mark all the way to around 300 degrees, which allows it to assume the Stand Mode and Tent Mode form factors that the Yoga first introduced. In these modes, the keyboard is disabled (as it points outward) to prevent accidental keystrokes, and the screen rotates as needed to accommodate. The one form factor which the N20p lacks as compared to the Yoga is the Tablet Mode; there is no way to rotate the screen 360 degrees so that it lies flat against the bottom of the base. Turning our attention back to the sturdiness of the machine, the base unit feels solid and is subject to very little flex during normal use or even with moderate pressure. The same goes for the keyboard, whose stability is superior to that of machines twice the N20p’s price. The carefully-placed rubber feet (some on the bottom of the base unit, and others on the top) keep the unit situated while resting on a flat surface, while the hinges do a good job of suppressing annoying wobbles (and thus the affiliated dancing reflections) while the keyboard is being used. 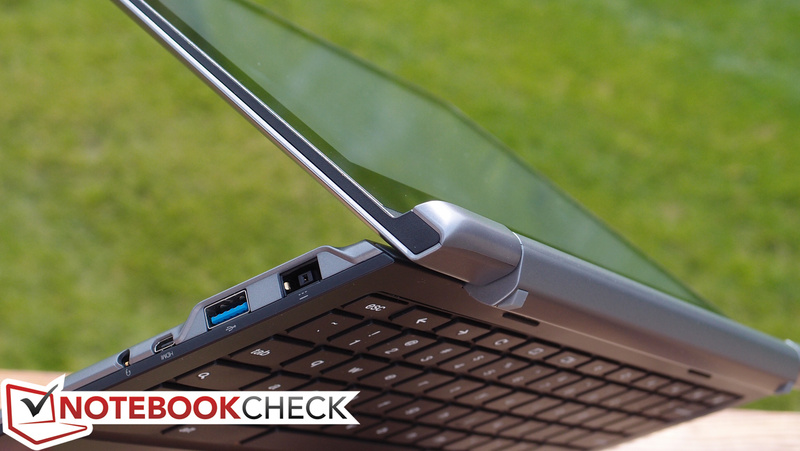 One small caveat here is the lack of a rubber or reinforced material strip along the top edge of the display lid, which means users will need to be careful when positioning the notebook in Tent Mode on abrasive surfaces such as concrete or brick. All of this is wrapped into a device which weighs in at just 1.284 kg—highly portable by any definition. Dimensions are equally compact at just 19 x 295 x 211 mm (H x W x D). The N20p maintains the cornerstones of the Chromebook design precedent while tossing the touchscreen and multi-mode design on top as enticing extras. Still, in spite of the pleasant surprises we encountered in the realm of case stability, the N20p struggles with many of the typical hallmarks of cost limitations. Among these are some imperfectly-fitted plastic pieces (such as those covering the hinges) and occasional quirks (the clickpad was stuck in the depressed positions when we received the unit). But if there’s one area which begs actual functional criticism, it would have to be the display lid, whose torsion resistance is pretty weak. 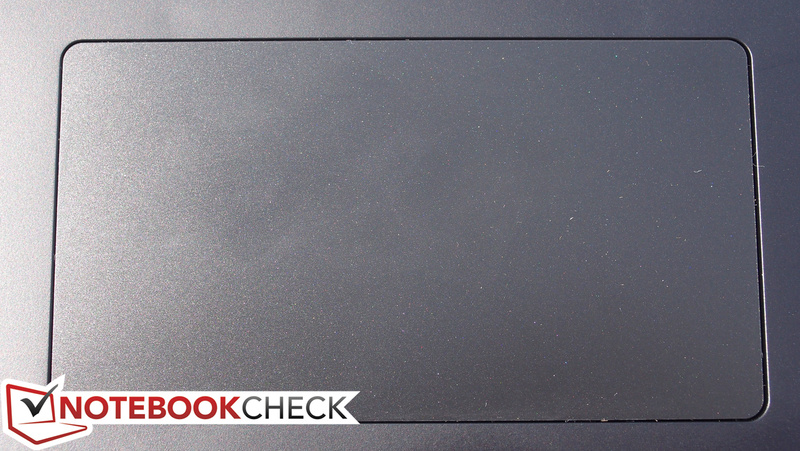 Moreover, the threat of a broken LCD screen is especially devious on inexpensive touchscreen notebooks, where the parts and labor to replace easily exceed the cost of the entire machine. Finally, maintenance and upgrades are unfortunately nearly impossible on the N20p. Memory and storage are not upgradeable, and the battery pack is located underneath the keyboard and palm rest, requiring the removal of seventeen (17) screws and two rubber feet to access—not to mention plenty of nerve-wracking plastic clips along the way. 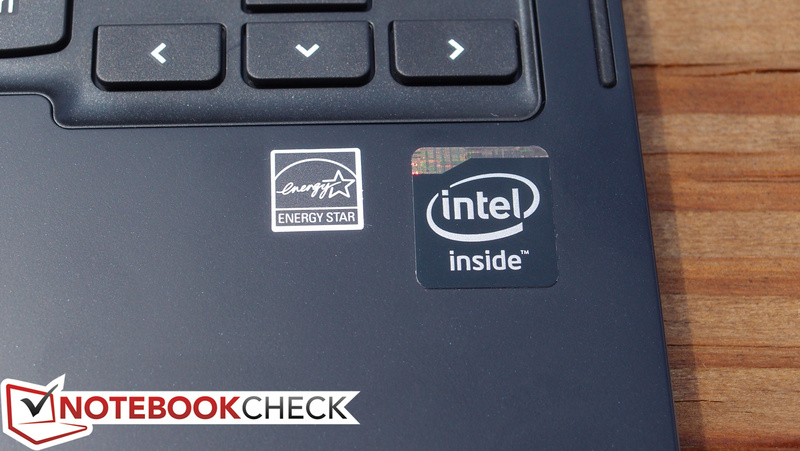 Still, there’s at least no warranty sticker as we found on the Acer C720. With regard to port selection, the N20p is par for the course, featuring two USB ports (one 2.0 and one 3.0), micro-HDMI, an SD/MMC card reader, and an audio jack. These ports are fortunately well-spaced: there’s plenty of room between the USB 3.0, HDMI, and audio jack on the left side, and the USB 2.0 port is found on the right side, miles away from the card reader. One gripe that is sure to turn off those planning on expanding storage by way of an SD card is that the card only inserts halfway into the slot; as such, it is very much a temporary transfer solution as opposed to a permanent storage expansion option. 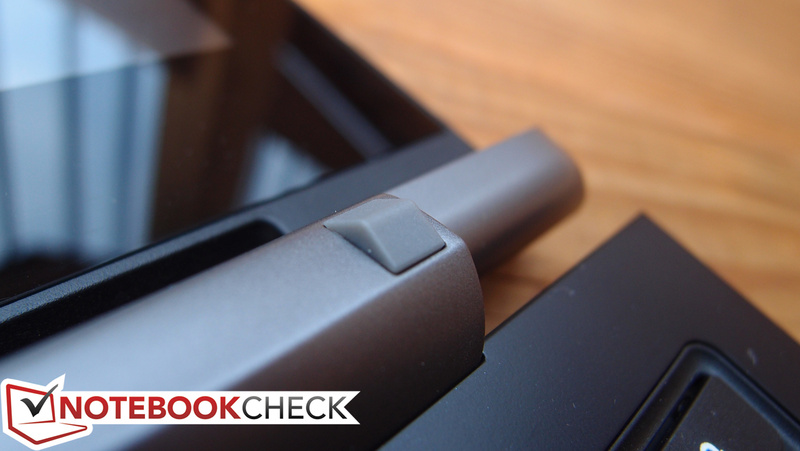 One major difference between the Lenovo N20p and previous Chromebooks is its implementation of a high-end wireless adapter—the Intel Dual Band Wireless-AC 7260—in exchange for the usual pedestrian 802.11n adapters such units include. As stated, this adapter can connect to both 2.4 GHz and 5 GHz bands, and it’s capable of wireless-AC speeds which can far exceed those of wireless-N. Having said that, when we pitted the two against one another, the signal strength couldn’t quite hold up to that of a 14-inch notebook containing the same wireless adapter (a Dell Latitude E7440)—so some drawbacks apply. This adapter also includes Bluetooth 4.0. 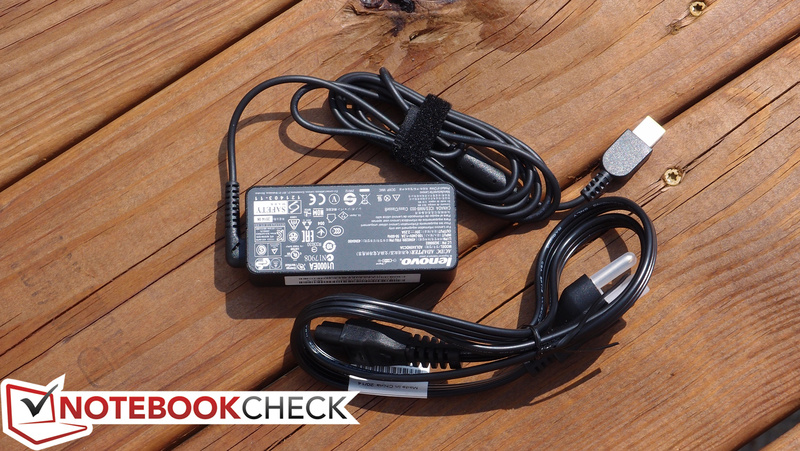 The Lenovo N20p Chromebook ships with a 45W power adapter which weighs 274 grams. A one year warranty is included with the unit, though it’s depot only; optional upgrades to on-site/in-home service can also be purchased. 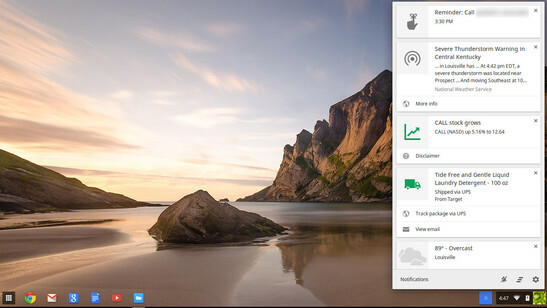 Chrome OS has come a long way since its early versions even just last year, and the benefits are mostly evident in the form of usability. A great example of one of the improvements which will directly benefit most users is the improvements which have been made in the realm of offline capabilities. 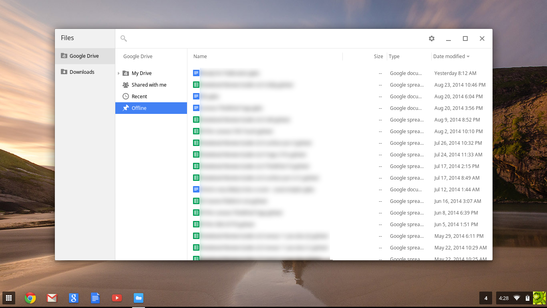 It used to be that a Chromebook had to be persistently connected to the internet to accomplish pretty much anything, but with the most recent advancements to the OS and Google Drive’s offline files support, things have improved notably. Here’s a page from Google dedicated to explaining just what’s possible offline on a modern Chromebook. The other items which have seen improvement are mostly minor, but the most relevant for our N20p evaluation is that of touch interface. Until this past April, Chrome OS wasn’t designed with touch in mind—but now, it’s a lot easier to navigate. Windows can be dragged, buttons are mostly large enough to press, and text selection is about as smooth as it is on Android phones. Only every so often does it feel really rough around the edges (such as with trying to close browser tabs, for instance). Things have also been modified to accentuate the transition between conventional Laptop Mode and the Stand/Tent Modes on the N20p. When the tablet is transformed this way, all windows maximize, an on-screen keyboard appears by default when text fields are selected, and a virtual task-switching button appears in the system tray area. It’s a nice touch that helps differentiate the tabletized features from the notebook ones, though it can be slightly irritating with regard to multitasking (since only a single window can be viewed on screen at a time). In short, the basic functionality is there, and Chrome OS is generally pretty snappy, even on slower hardware. However, for all its advancements, it would be dishonest to label Chrome OS anything close to an actual replacement for either Windows or OS X. The fact remains that you cannot download and run conventional x86 programs on a Chromebook; you’re limited to what’s available from the Chrome Web Store. Though lots of things can now be done offline (as mentioned above), it still pales in comparison to the options available on a traditional notebook. Printing is only possible on Cloud Ready printers or those already connected to a Windows or Mac computer that’s connected to the internet. And, of course, thanks to its relative infancy, the huge swath of driver support for common devices is nonexistent—so even when the devices are supported, many common options simply don’t exist in the software (such as, for example, touchpad sensitivity and palm rejection options). Chrome OS is functional, lightweight, and easy to learn—but it still lacks the depth of the mature operating systems with which it competes. Some great features have been implemented, such as seamless integration with Google Now. 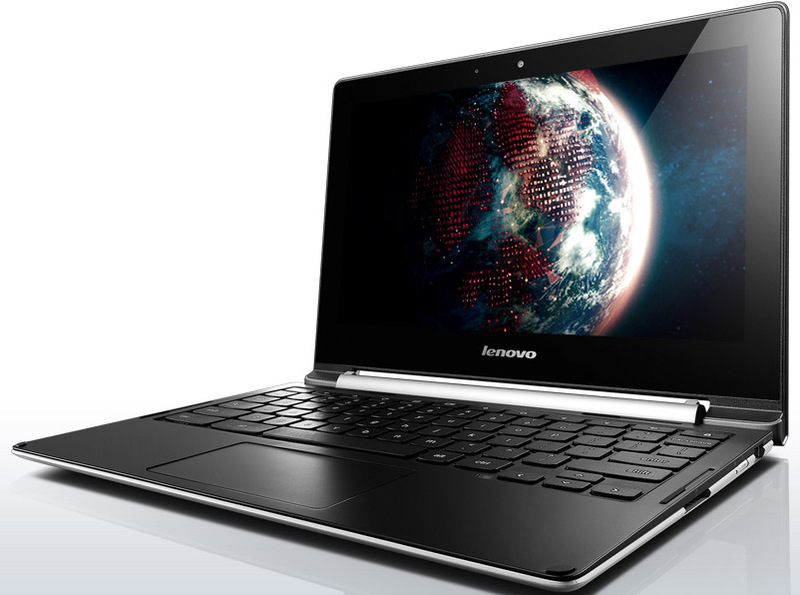 The N20p features another keyboard which Lenovo classifies as “AccuType”, which really is more of a testament to its overall layout at this point than anything else. 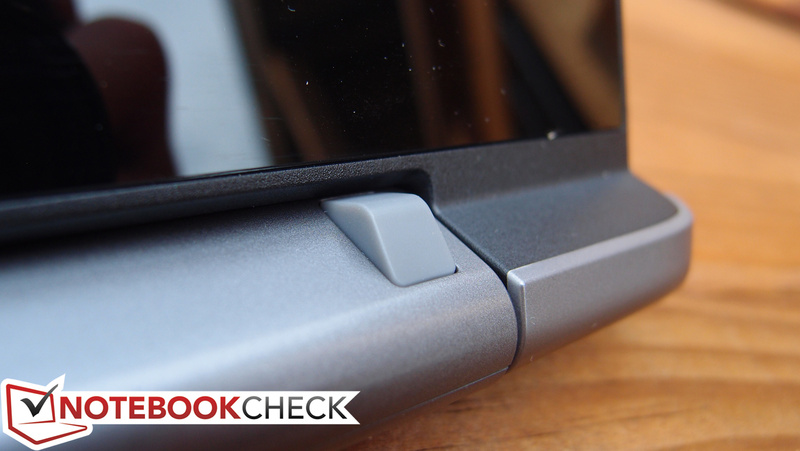 AccuType keyboards come in many flavors, some absolutely phenomenal (Lenovo ThinkPad Yoga) and others simply passable (Lenovo IdeaPad Yoga 11). The N20p’s is nothing offensive, but it most certainly fits into the latter category. Key travel is short, but feedback is good; it’s also quiet in its operation. The spacing is also comfortable, and key sizes are generous with the exception of a few keys on the right side of the keyboard (and the vertically-shrunken arrow keys). It’s a far cry from the best Ultrabook keyboards, but it gets the job done nonetheless. Meanwhile, the Elan Touchpad is spacious, features a comfortable (if not slightly grippy) finish, and manages quick and precise operation. The usual gripes apply to the integrated buttons, which in this case are perhaps a grade below those of more expensive notebooks. Two-finger scrolling works seamlessly and quickly, though we still (as seemingly always) struggled with tap-to-click functionality; though it was enabled in the Chrome touchpad settings, we found its operation to be finicky and inconsistent at best. Speaking of which, we earlier alluded briefly to the lack of options in the Chrome touchpad driver settings. 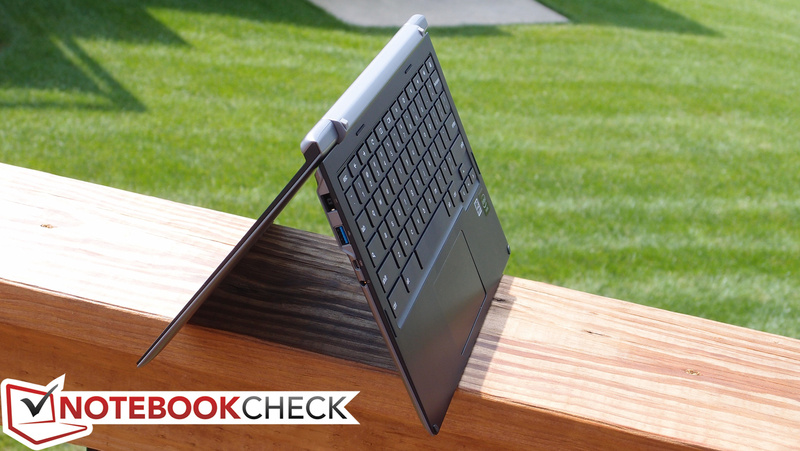 This is something we complained about nearly a year ago during our reviews of the HP Chromebook 11 and Acer C720 Chromebook, and the situation hasn’t changed since. 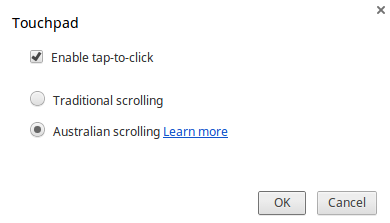 Literally the only options that exist are pointer speed, tap-to-click (on/off), and Traditional or Australian (reverse) scrolling. Despite the inexpensive nature of the N20p, its touchscreen works as accurately as anyone could hope for. It does a great job of interpreting gestures (such as pinch zooming) effortlessly, and the 10-point multi-touch seemed to function properly in our testing. There’s nothing special about the Lenovo N20p’s LCD screen: it’s a glossy 11.6-inch 768p (1366x768) TN LED panel (that’s 135 PPI) with subjectively unremarkable color intensity, brightness, and contrast. 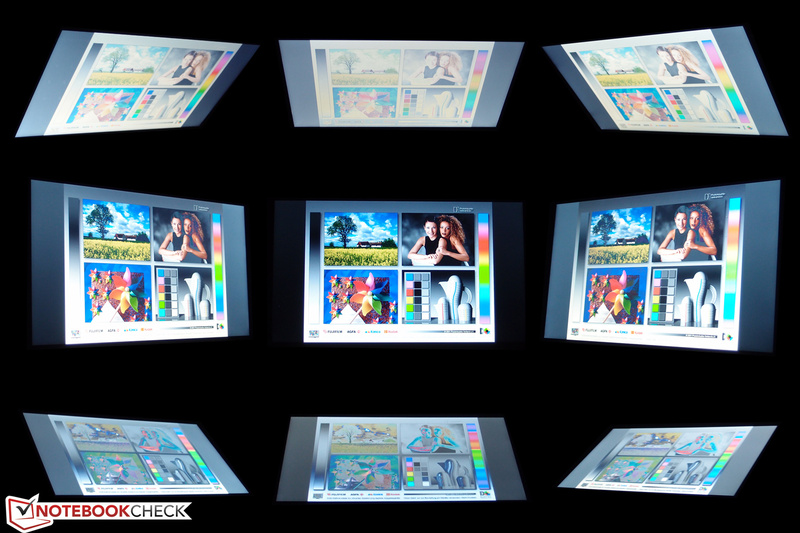 We measured an average brightness of just 218 cd/m², which is dim by LCD standards, and not nearly enough to help overcome the glossy panel in brighter environments. A black value of 0.538 cd/m² means a contrast ratio of 423:1, which isn’t awful, but is nothing special, either. Brightness distribution sits at 90%, however, which is quite good. Outdoors, the panel is impossible to view in sunlight. This is not only due to the poor brightness and middling contrast we mentioned earlier, but also (perhaps moreso) to a visible grid overtop the panel that is likely a part of the touch recognition hardware. When exposed by bright light, this grid makes viewing anything underneath it incredibly difficult. 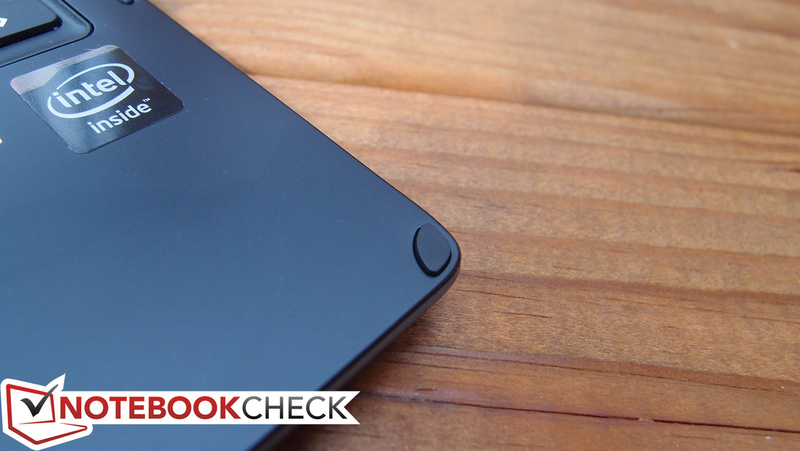 Vertical viewing angles, meanwhile, are also very narrow (while horizontally things are a bit easier to track). There are only two Lenovo N20p configurations available, and the only difference between the two is the processor: one of them (the one we received) packs an Intel Celeron N2830 (dual-core @ 2.16 GHz), whereas the other one is outfitted with a Celeron N2930 (quad-core @ 1.83 GHz). Both CPUs feature a max TDP of 7.5 W (and a SDP of 4.5 W), which certainly should lead to some battery life benefits. Due to technological advances, the performance of the N2830 can actually rival that of older, power-hungry CPUs, such as the AMD Turion X2 RM-72 (at 35 W TDP). Both models feature just 2 GB of DDR3L 1333 MHz RAM (though reportedly 4 GB models are available already in other regions). 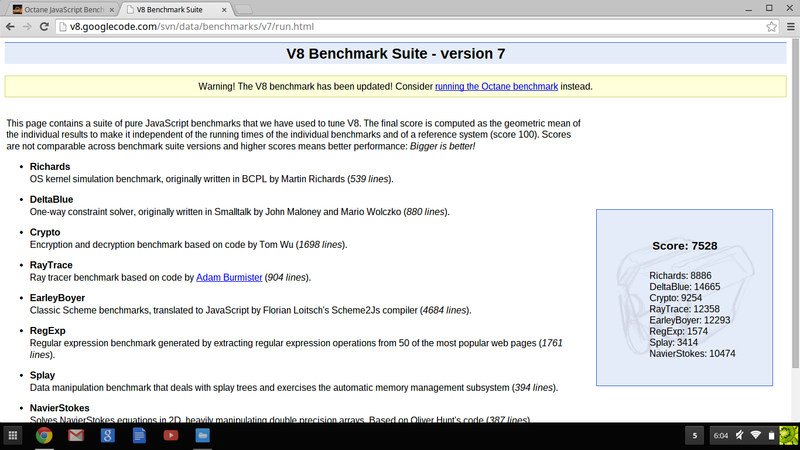 Subjectively, performance does seem to lag a bit. 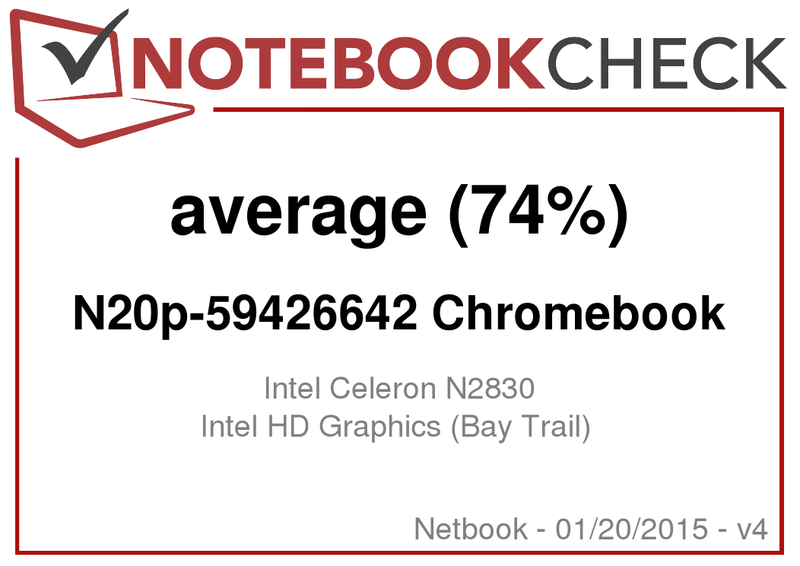 As compared to previous Chromebooks, the N20p is notably slower to load web pages and switch between windows and applications. Sometimes we were unsure if our clicks had registered due to the brief delay between input and response. It might be worth considering the quad-core model since the price difference is only around $20, but we can’t officially recommend it as we haven’t had the chance to evaluate it firsthand. Peacekeeper and Google V8 Ver. 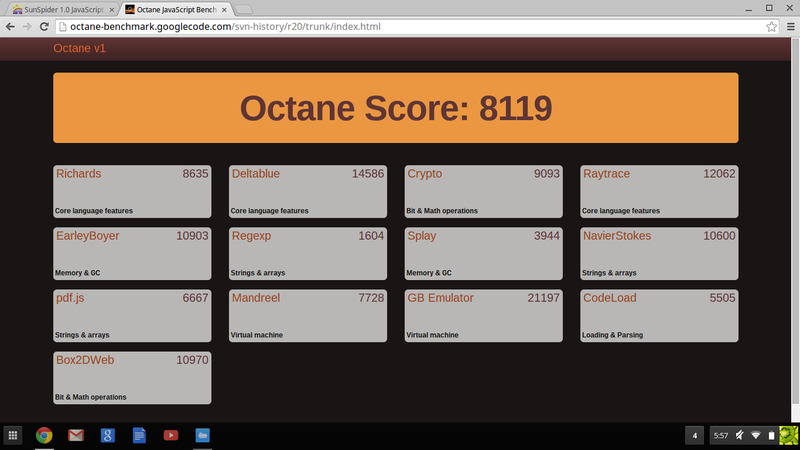 7 both place the N20p in the middle of the pack of comparable Chromebooks, with scores of 1402 and 7258 falling far short of the Acer C720’s 2871 and 10316, but beating the Samsung Chromebook XE303C12’s 1005 and 4996 by a sizable margin. 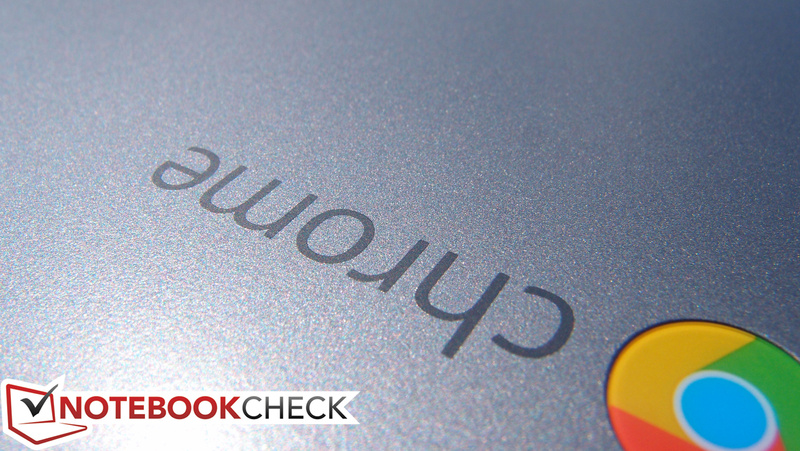 The far pricier Chromebook Pixel still embarrasses everyone else in the field, of course, thanks to its 17 W TDP Core i5-3427U CPU. The N20p’s storage solution is once again as basic and limited as that of other competing Chromebooks. 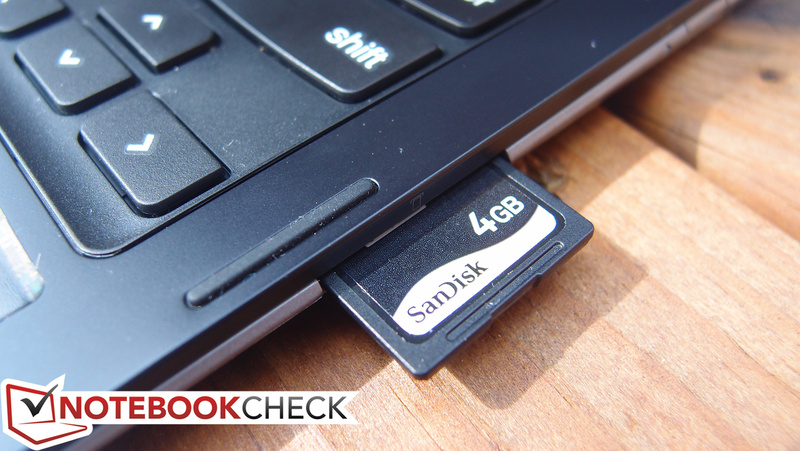 It’s a 16 GB eMMC (SanDisk model SEM16G) whose performance pales in comparison to that of larger traditional SSDs. It also ships with just 9.2 GB of usable free space; Google expects users to store the vast majority of their large data on their Drive service, for which they are allotted 100 GB upon purchasing the device. 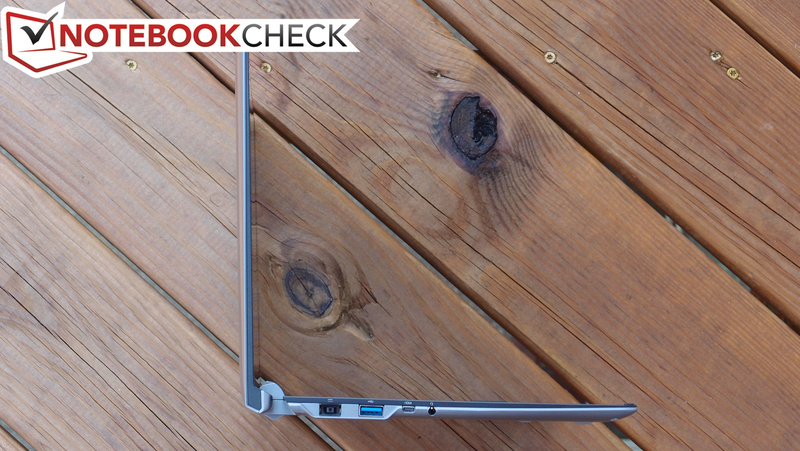 As is a trend in Chromebook designs, the Lenovo N20p is passively-cooled, meaning it contains no fans, and thus produces no perceptible noise while operating. While idle, the N20p reaches just 31°C average temperature on top and bottom, which is perfectly comfortable. Adding stress (by looping two 1080p videos simultaneously) provokes a rise to nearly 37°C average, which is still quite cool indeed for a unit lacking fans. 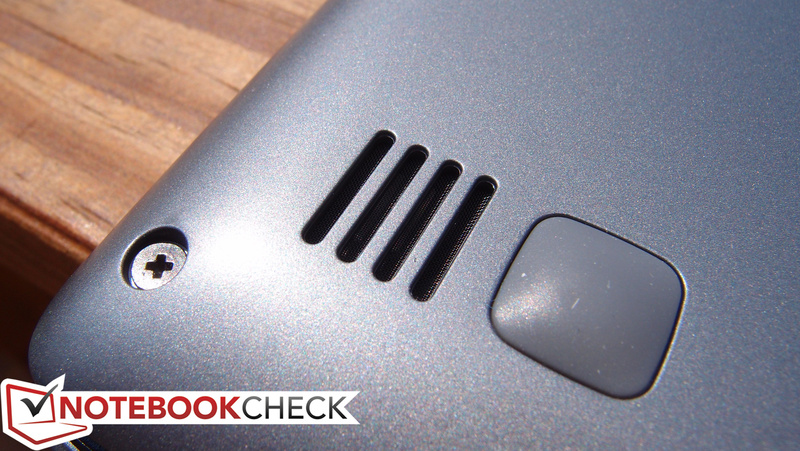 However, while in use on the lap, hot spots above 40°C quickly become noticeable—if not too terribly bothersome—on the left rear portion of the device. (±) The average temperature for the upper side under maximal load is 36.7 °C / 98 F, compared to the average of 29.8 °C / 86 F for the devices in the class Netbook. (±) The maximum temperature on the upper side is 43 °C / 109 F, compared to the average of 33 °C / 91 F, ranging from 21.6 to 53.2 °C for the class Netbook. (-) The average temperature of the palmrest area of similar devices was 29.3 °C / 84.7 F (-5.1 °C / -9.2 F). We were quite pleasantly surprised by the N20p’s speakers, which produce clear trebles and a significant level of volume for their size. Of course, low frequencies are almost entirely absent from the spectrum, but what’s here is better than what most other notebooks of its class could manage. 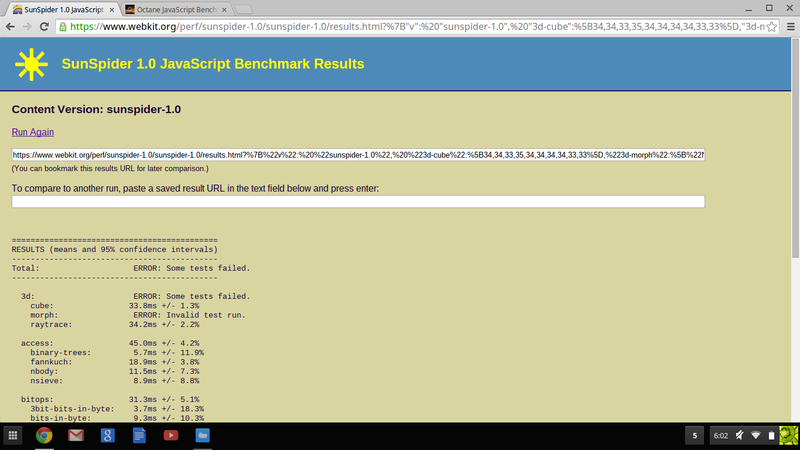 During heavy load, we measured a power consumption of just under 7 W (according to the Chrome OS internal statistics). The efficiency of the chipset combined with the 34.8 Wh battery ought to yield good results for battery life—and indeed, it does. We recorded 9 hours and 37 minutes while surfing at medium brightness (near 150 cd/m²—setting 13/16), and 4 hours and 13 minutes under load. These values exceed Lenovo’s claims of up to 8 hours and should easily last most users an entire day. 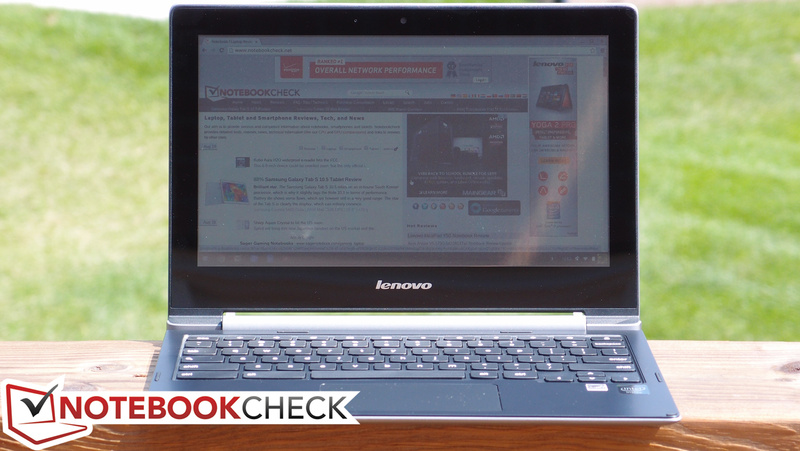 Lenovo’s N20p Chromebook is the first of its type: a convertible (“dual-mode”) Chromebook with a 10-point multi-touch screen. It also features good input devices, reasonable construction quality and stability, quality wireless connectivity hardware, and great battery life. The best aspect of it all is the fact that this is accomplished at the very reasonable price of just $329 MSRP—plus, you can add another $20 to that and score a quad-core CPU instead (we weren’t able to test this however). 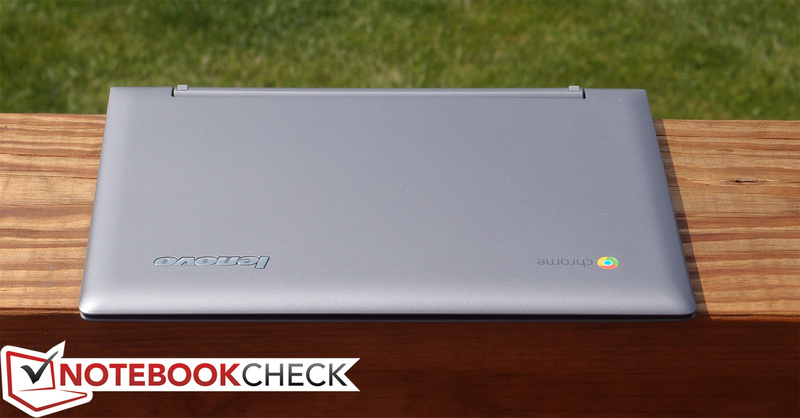 Like it or not, the Chromebook formula is still predominantly rooted in affordability, however, and with that focus comes mandatory compromise. Whereas the N20p’s areas of compromise are different than those of, say, the Acer C720, the drawbacks are comparable in number and impact. Specifically, we found slower than average performance in our testing, which meant lags when switching windows or even when tapping to click at times. 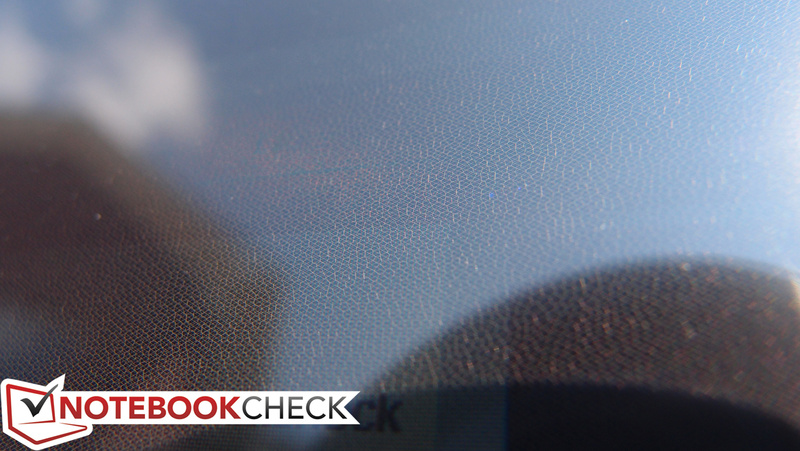 We were also met with a thoroughly unimpressive glossy screen with subpar brightness and pedestrian contrast and viewing angles—not to mention a grid-like digitizer layer which becomes visible (obstructively so!) in bright sunlight. The final two major negatives are a fragile display lid and a complete lack of any options for maintenance and upgrades. Perhaps the biggest compromise of all, though, and one which both models (and all current Chromebooks) share, is that of Chrome OS’ limited functionality. As adequate as it is most of the time, it’s those rare circumstances where the user needs more and simply can’t have it that are most frustrating of all. 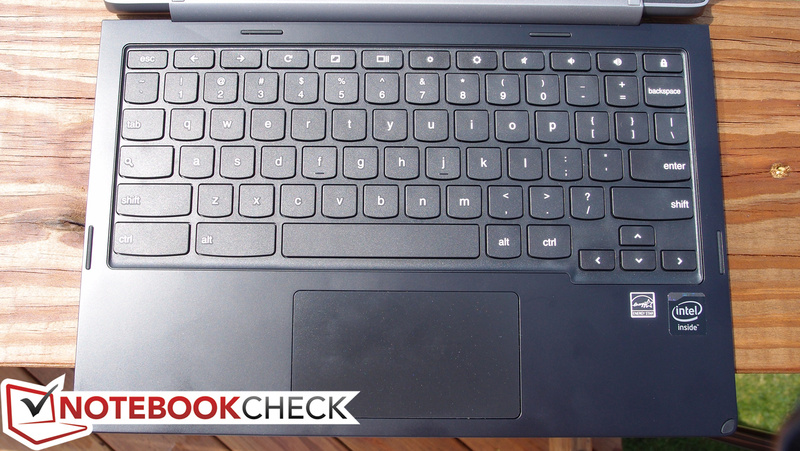 As compared to the Acer C720 (and most other Chromebooks), the two devices share many of the same shortcomings, but the big separator is the performance and input devices. The N20p features far superior input devices, whereas the C720 easily beats the N20p in terms of performance and responsiveness. The N20p also has the edge in the realm of build quality, but all things considered, the $249 C720 still seems like a better option unless touch is an absolute requirement. There are of course also a host of other low-cost options from which to choose (such as the more recent Asus C200MA-KX003), all with different sets of compromises. As for the N20p, it isn’t the best notebook around, but for the price, it might make sense to the right kind of consumer. The speakers aren't nearly as bad as they look!